Aligning ambitions is an essential component of the goal-driven agile framework. It enables all team members to identify joint interests and work together towards the same goal. How do organizations obtain a top-down and bottom-up alignment? 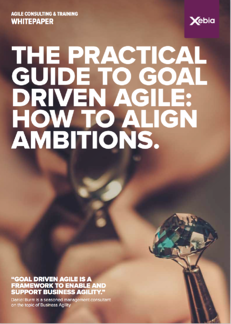 This whitepaper, part 1 of The Practical Guide to Goal-Driven Agile series, explains the answer.